Please click here to read a foretaste of Chapter 2. Please click here for excerpts of interviews with disciples of the 16th Gyalwa Karmapa. 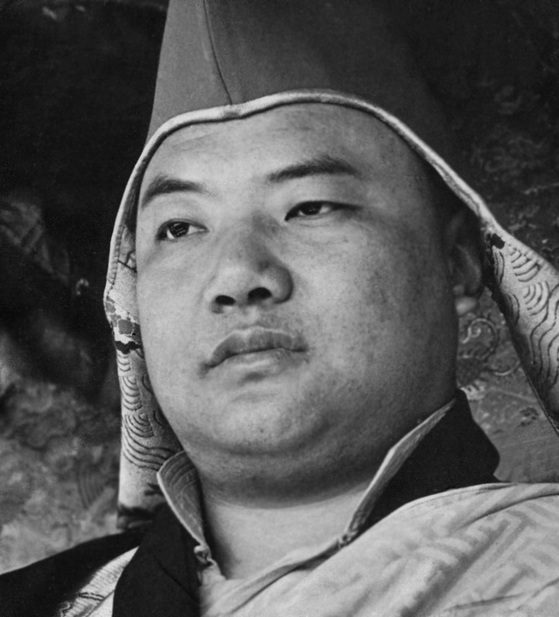 At dusk on July 16th 1924 the 16th Gyalwa Karmapa Rangjung Rigpe Dorje was born,* the event being accompanied by numerous auspicious signs typical for the birth of a great master. Rainbows appeared in the blue sky; soft rain showered down, and some saw a rain of flowers; the earth trembled softly and the water in the tent’s offering bowls turned into milk. Neither the pregnancy nor the birth itself had caused the mother any pain. Like many of his previous incarnations, Karmapa walked seven steps in every direction. Proclaiming “Mother, I will not stay,” he announced his fearless character, that of a great Bodhisattva. Please click here for extracts of interviews with disciples of the 16th Gyalwa Karmapa. The significance of the Black Crown is explained in the introduction and the corresponding chapter in Vol. II. Jamgön Kongtrül Rinpoche: The Life Story of His Holiness the XVI Karmapa. Bulletin of Tibetology, Vol. 18, No.1, 1982: Karmapa Commemoration Volume, Gangtok, Sikkim, 1982. Tibetan biographies of the Kagyü tradition name the full moon day of the sixth month. There are two different Tibetan calendars, which place New Year sometimes a month apart. According to the Tsurphu calendar, which dates back to the second Karmapa Karma Pakśi, this is roughly the 16th of July. According to the Phugpa calendar, used by the Gelukpa school, it would be the 14th of August.